Spritz: should not need any introduction. 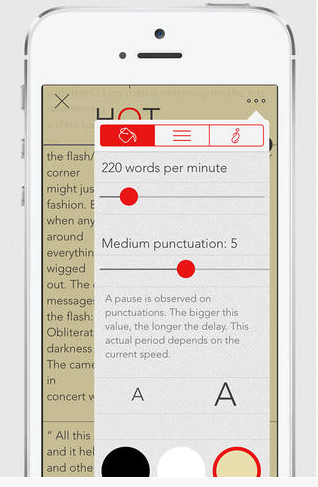 A wonderful app that helps you read up to 1200 words per minute. Lets you import PDF, Word documents, ebooks and Text files from Dropbox, Google Drive, Pocket, Mail, Safari, or iTunes. 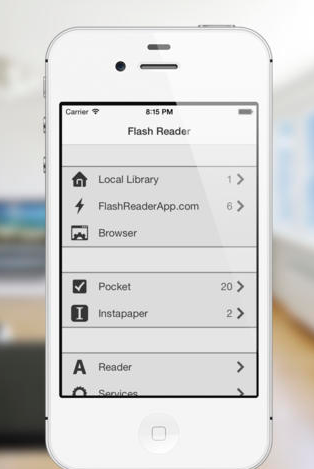 Flash Reader: an elegant application that lets you read emails, books, and online articles on your iOS device faster. It lets you open and import DOC, RTF, TXT, PDF, EPUB, DOCX, and AZW files. Have you found better speed reading apps that can handle PDF files? Please share them here. Previous story Amazon Phone To Be Announced Today? Next story Amazon Fire Phone: Is It Worth It?